September to January is traditionally when the low-brow summer movies are put aside and the more-interesting flicks start to show up. Of course, it’s also when the middle-brow Oscar-bait starts to appear, but those are usually easy to avoid: just look for trailers with middle-aged UK actors, cellos on the soundtrack, and the words “from critically-acclaimed director Paul Haggis”. To be totally honest, I don’t even go to the theatre all that much these days (God bless DVDs), but these are ten movies I will probably go see this fall. 3:10 to Yuma. Sept 7. Russell Crowe and Christian Bale in a chatty western drama remake of an adaptation of an Elmore Leonard novel? Sign me up! Eastern Promises. Sept 14. Cronenberg. It looks like it might be awesome. 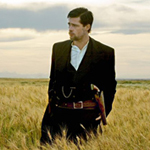 The Assassination of Jesse James by the Coward Robert Ford. Sept 21. Sounds promising, looks beautiful. Shot in Manitoba. I’m there. The Darjeeling Limited. Sept 29/Oct 5. Dude, it’s Wes Anderson. Funny Games. Oct 26. Michael Haneke remakes his own, extremely brutal and shocking home-invasion thriller. I have no idea what to think of this, but the original made me feel sick and angry. In a good way. No Country for Old Men. Nov 9. Hopefully, I don’t have to explain why the new Coen brothers western crime movie is on this list. Be Kind Rewind. Dec 21. Michel Gondry! And Jack Black! There Will Be Blood. Dec 26. P T Anderson-directed movie about early 20th-century oil barons. Synecdoche, New York. TBA. Charlie Kaufman’s directoral debut. Paranoid Park. TBA. Gus Van Sant is pretty hit-and-miss, but this movie about a group of skateboarders who may or may not be involved in the death of a security guard has been getting some good buzz. The Brave One. Sept 14. Into the Wild. Sept 21. My Kid Could Paint That. Oct 5. Margot at the Wedding. Oct 19. 30 Days of Night. Oct 19. The Kite Runner. Dec 2. Walk Hard: The Dewey Cox Story. Dec.
You’re incredibly strange. And a weirdness like yours takes skill to cultivate! No one really understands you. And you’re cool with that. You just hope you never have to understand them! 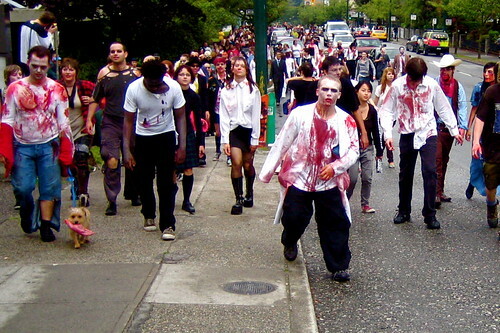 Filed in photos by me, vancouver, zombies | | Comments Off on brrrrrrraaaaaaainnnnnnnzzzzzzzzz!!! So I just found out that not only was our poster a finalist at the SIGGRAPH Student Research Competition, but we actually won FIRST PLACE! Which comes with a plaque and some cash! See what happens when you go to the awards ceremony at the wrong time and then get annoyed and leave because you assume you didn’t win anyway and there’s free booze somewhere else? This is a really great (and really surprising!) award! SIGGRAPH is one of the most prestigious conferences in computer science, so winning the student research competition is quite an honour. And not one I ever expected to receive: to be honest, I was plenty pleased just to learn we made it to the finals. I never for a minute expected to win. And even though as first author and presenter, I get my name on the award, it belongs just as much to my co-authors Abhijeet Ghosh and Nando de Freitas. The prize money will get the three of us one fine, fine dinner at Tojo’s.